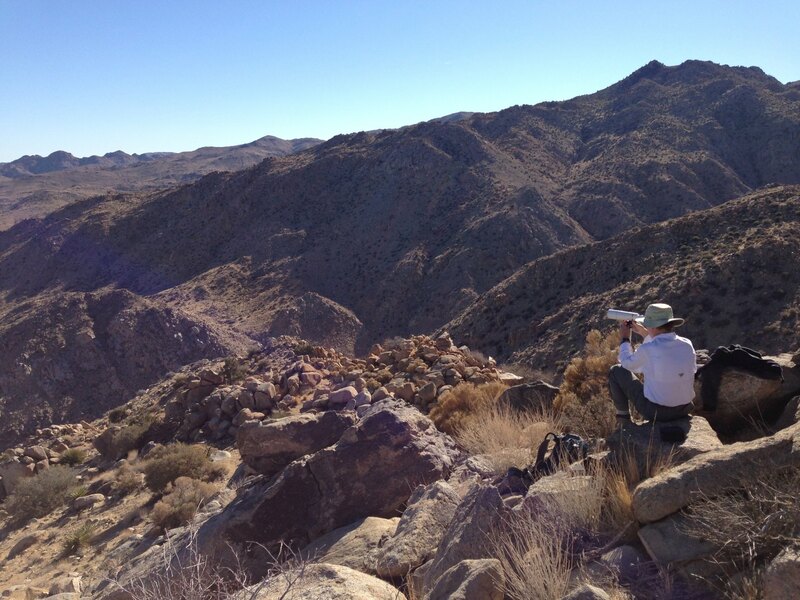 General search area: A reconnaissance trip to the upper northerly slopes of Smith Water Canyon to optically inspect the southerly slopes across the canyon. It was the setup for this: Current Bill Ewasko thoughts, January 2013. 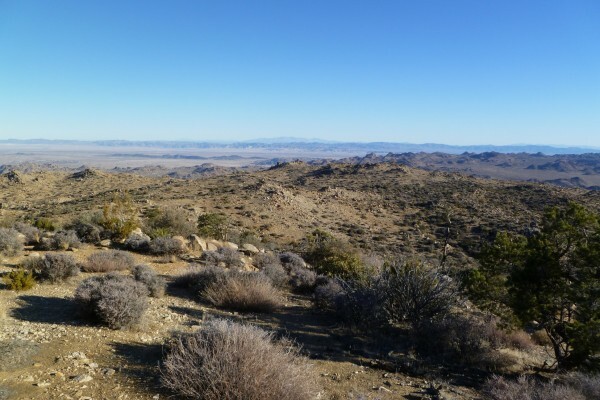 Once the climb out of the Upper Covington Flat trailhead was complete, the area was very scenic with huge vistas. Actually sort of flat. Upon reaching the two planned recon spots, we had excellent views across Smith Water Canyon to the upper reaches of the southerly slopes. We spent well over an hour using both binoculars and a spotting scope but failed to observed anything out of the ordinary. Visually, it was quite good, and helped refine the search planning for the next big effort, JT45, the south slopes of Smith Water. The panorama below of Smith Water Canyon was stitched together from several images taken at one of the recon points. Previous search tracks were then added with a draw program by hand while comparing the image against a perspective view in Google Earth showing the tracks. They are not 100% accurate but reasonably close. I also used the opportunity to field test an iPad Mini running the Gaia GPS mapping/topo app. This app allows the user to download USGS topo maps for use offline where there’s no cell availability. I turned on the app at the start of the hike, set it to tracking, locked the screen and placed the “Otterboxed” Mini in an external pouch of my pack for GPS recpetion. Upon completion of the hike 4 1/2 hours later, the battery indicator had decreased from 100% to 97%. Comparison of Gaia’s recorded GPS track to Patrick’s and my Garmin showed it to be consistent within normal consumer GPS accuracy. Looking northerly after the climb out of Lower Covington Flat.